Khalid, Logic and Alessia Cara performed their chart-topping hit '1-800-273-8255'. 20. 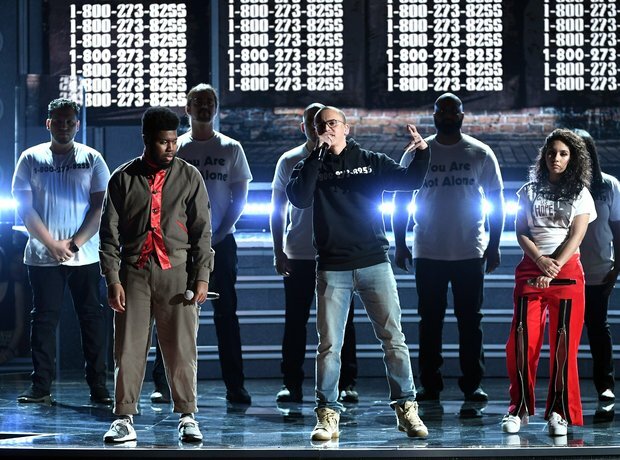 Khalid, Logic and Alessia Cara performed their chart-topping hit '1-800-273-8255'.